With 5G technologies on the horizon the need for test and measurement is more and more evident. Communications testing for systems, networks, security, IoT, the Cloud and software (to name a few) will be more and more relevant in the communications industries. Check out a few of these test & measurement products below. 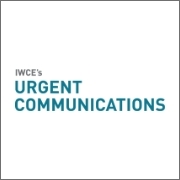 Each day during IWCE 2018, IWCE’s Urgent Communications delivered newsletters containing the latest headlines, insights and video from the conference. Follow the links to check them out. Each day during IWCE 2017, IWCE’s Urgent Communications delivered newsletters containing the latest headlines, insights and video from the conference. Follow the links to check them out. 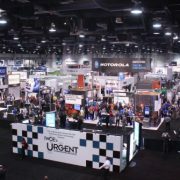 Each day during IWCE 2015, IWCE’s Urgent Communications delivered newsletters containing the latest headlines, insights and video from the conference. Follow the links to check them out. 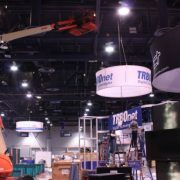 The first day of IWCE – industry experts leading discussions and setting up the showroom floor. 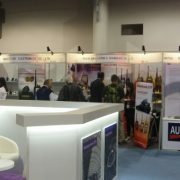 Each day during IWCE 2014, IWCE’s Urgent Communications delivered newsletters containing the latest headlines, insights and video from the conference. By Nov. 1, anyone operating such devices must register them, including their location, with the FCC, so that they can be found quickly should they cause interference or other types of degradation to properly licensed operating systems. Here’s how to navigate the process. 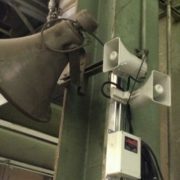 System was able to integrate with existing two-way radio system, could be heard even in high-noise areas by employees wearing ear protection, and was able to cover the pant’s entire 200-acre footprint–with less cost and faster deployment compared with a wired PA system. A state emergency management agency turns to cloud-based, unified group communications software platform, which links multiple disparate agencies throughout the state more cost-effectively and easily than moving them all to a single system.